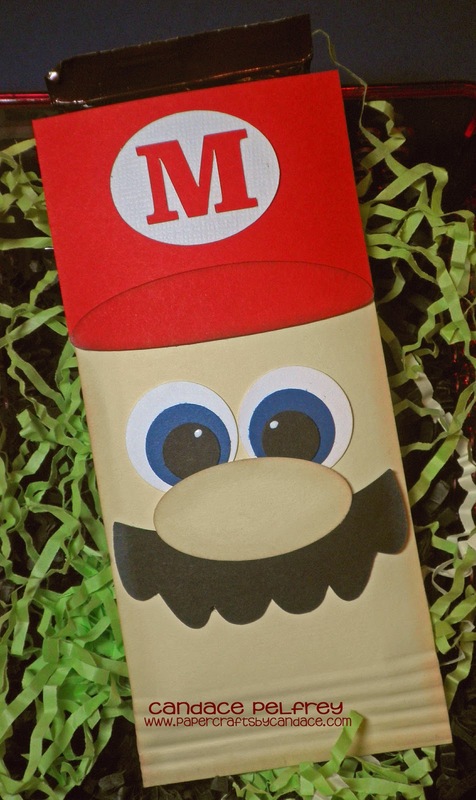 Paper Crafts by Candace: National Video Game Day! Today is National Video Game day so of course I had to create something! I created this Mario paper piecing hershey bar slider! Everything was cut using a punch except the circle with the M and his mustache! The eyes were created using 1/2, 3/4 and 1 inch circle punches. The nose is the oval circle punch from Stampin Up. Thanks so much for checking out my Video Game day project!